The United States is seeking to give the country’s president the option to use low-yield nuclear warheads against intercontinental ballistic missile silos, Russian Deputy Foreign Minister Sergey Ryabkov said Thursday. “I studied with great attention the comment by high-ranking Pentagon representatives on this topic, read reports that, in practical terms, the National Nuclear Security Administration began to produce the first piece of such ammunition. From the explanations of the Pentagon representatives I made several conclusions,” Ryabkov said at a press conference in the Rossiya Segodnya International Information Agency. The first conclusion, according to the Deputy foreign minister, is that the US wants to grant the US Armed Forces Commander in Chief the option of using relatively low-yield nuclear warheads against specially fortified, protected targets. 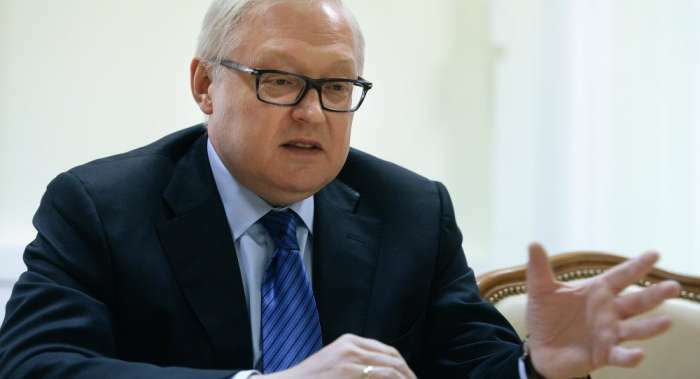 Speaking further, Ryabkov said that Moscow believes, different political forces in Washington would use the issue of extending the New Strategic Arms Reduction Treaty (START) to their advantage during the US 2020 presidential campaign. “Yes, it will be gambled on”, the diplomat said, answering the corresponding question. 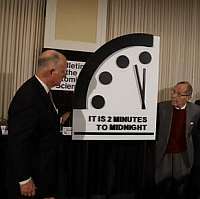 Ryabkov added that there is less time to renegotiate the extension within the bilateral commission format. “We will meet with the US side only four times within the next two years. There are two sessions per year, about ten days each. So, it is necessary to get down to work right now”, the official concluded. As far as the Intermediate-Range Nuclear Forces Treaty (INF) is concerned, the senior official said that Moscow had done everything possible to preserve the treaty. “Russia has done its utmost to save the treaty, we have repeatedly tried to bring the Americans to a professional conversation, offered concrete initiatives in the interest of finding solutions for resolving mutual complaints. Displaying goodwill, we went to unprecedented transparency measures that went beyond the scope of this agreement,” Ryabkov said in the Rossiya Segodnya International Information Agency. Moreover, according to Ryabkov, Russia is ready to receive and study specific arguments of the United States and its allies about how Russia’s 9M729 missile that allegedly violates the INF treaty. “If someone among the US allies, who confidently tell us that they can use their national means to confirm the US conclusion that the 9M729 missile violates the treaty, is able to convey something to us, we will deal with it additionally. Although, as you understand, now it is almost irrelevant, given the fact that both parties suspended the implementation of the agreement,” Ryabkov said at a press conference. The diplomat added that any new Russia-US negotiations on the treaty should take into account the military potential of other states. Dec. 4, 1989 file photo shows the launch of a Trident II, D-5 missile from the submerged USS Tennessee submarine in the Atlantic Ocean off the coast of Florida. As of mid-2010, 12 operational U.S. nuclear-missile submarines carry a total of 288 Trident missiles. A movement is growing worldwide to abolish nuclear weapons, encouraged by President Barack Obama’s endorsement of that goal. But realists argue that more stability and peace must first be achieved in the world. Prior to that, Russian Foreign Minister Sergei Lavrov said that the United States intended to withdraw some of the missiles from the agreement, denuclearising them, but Russia has the right to make sure that it is impossible to re-equip them back.